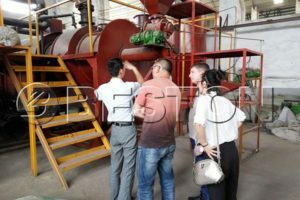 In order to realize the goal of energy saving and new energy development, China Beston Group has paid more attention to the development and improvement of wood charcoal making machine, whose working objective refers to making charcoal from wood or sawdust after a series of reactions. At the same time, due to its remarkable economic efficiency of low investment but high return, the wood carbonization technology has become an objective purpose for the most machinery manufacturers both at home and abroad. How to make charcoal from wood? 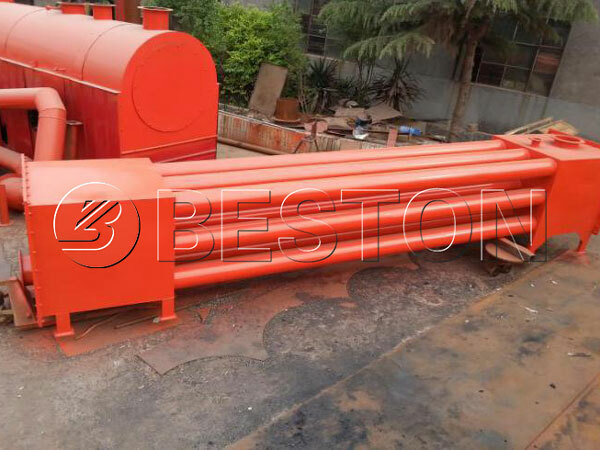 Based on rich production and sales experience, Beston wood charcoal making machine has introduced the top-class technology of one fire with two steps, which can be said the domestic initiate. 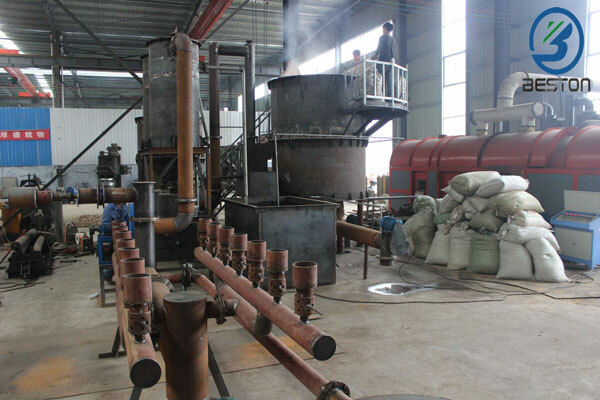 At the beginning of carbonization process, the size of wood should be reduced to 50mm or smaller by crusher machine, and then through the screw belt conveyor, the raw materials enter wood carbonization furnace for being heated by high temperature for 30 minutes; there will be combustible gas and charcoal generating in the furnace. Both of the two materials will be further processed. 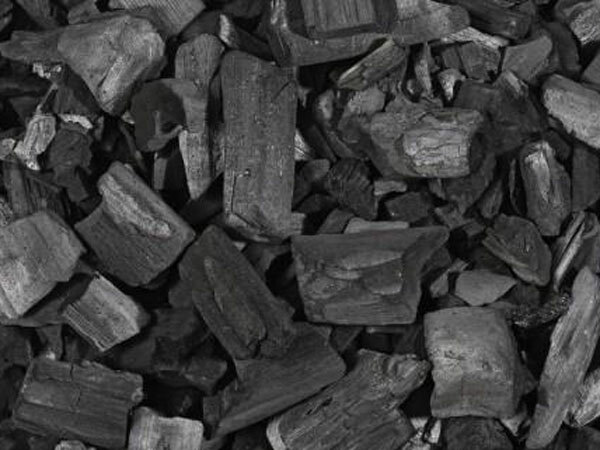 Due to the high temperature of hot charcoal in the furnace, it is inappropriate to collected directly, thus we will utilize cooling system to reduce its temperature to 30℃, and then collect the carbonized wood charcoal directly; as for the combustible gas, at first, it will be purified by spay dedusting system to remove the sulphur components and then to extract the tar and wood vinegar by condenser system. After these steps, the combustible gas will be recycled to heat furnace or dryer by the draft fan, which has fully realized energy saving. This is the so-called one fire with two steps. The whole carbonization process can achieve the full utilization of resources without generating any pollution. Through the carbonization of wood process, the wood dust will be converted to wood charcoal, tar and wood vinegar, all of which have higher economical values. Especially the charcoal, it owns fixed higher carbon content (about 90%). Besides, it is also a new type of high-grade fuel with good flammability, while the best wood to make charcoal has very strong activation (it can be activated up to 75%). There is no doubt that it is an ideal material for manufacturing activated carbon to create higher profits. 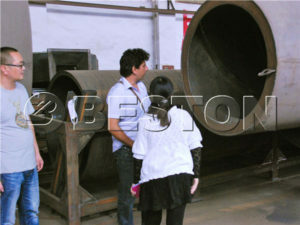 Besides, it also has been widely used in our living life, industry, and agriculture, etc. This kind of material can be further processed into charcoal balls or charcoal strips through the related forming machines. After being further processed, the surface of charcoal is smoother and more beautiful, so its marketing price is higher, which can create more economic profits. Therefore, the sales prospect of wood charcoal is better. If you want to get more related info, maybe you can view my facebook: https://www.facebook.com/sasa.guo.946. 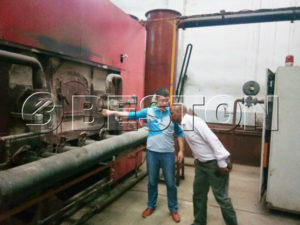 In order to increase the production efficiency, our wood charcaol making equipment has adopted double-layer design in the wood carbonization furnace structure, which can make the lower part of the wood charcoal making machine contact with the hot air as much as possible; meanwhile, this design is helpful to raise the heat utilization efficiency from the beginning to increase the working efficiency in the production process. Besides, there are three filters to make the maximum full uses of heating in the whole process, and the heat use ratio of the equipmwnt is over 85%. What’s more, the continuous wood carbonization furnace makes the whole process realize fully continuous production, which has greatly increased the working efficiency. 1. The continuous working pattern can reduce the manual power and increase the working efficiency, which can reduce the cost of labors. 2. 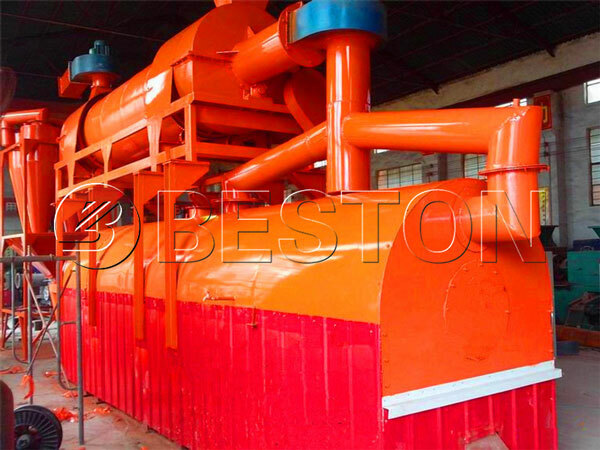 Beston wood carbonization machine for sale has possessed the characteristic of single machine with multiple applications. 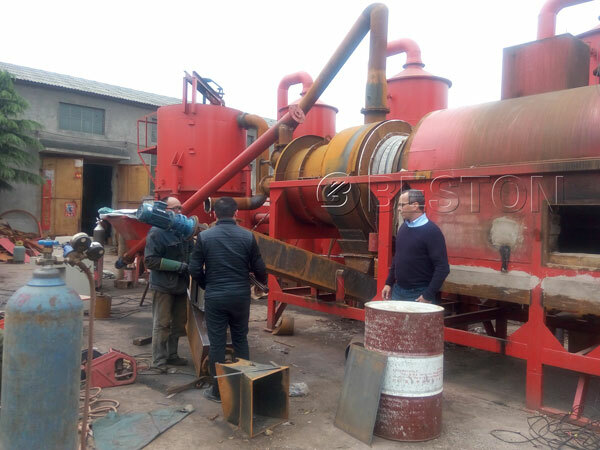 Apart from wood, our wood charcoal making machines also can process other biomass materials, such as sawdust, straw, fruit shell, etc., which is helpful to produce products with high values and reduce the investment. 3. The applications of carbonized wood charcoal have reduced the consumption of traditional fuels, which has largely reduced the cost of fuel. 4. 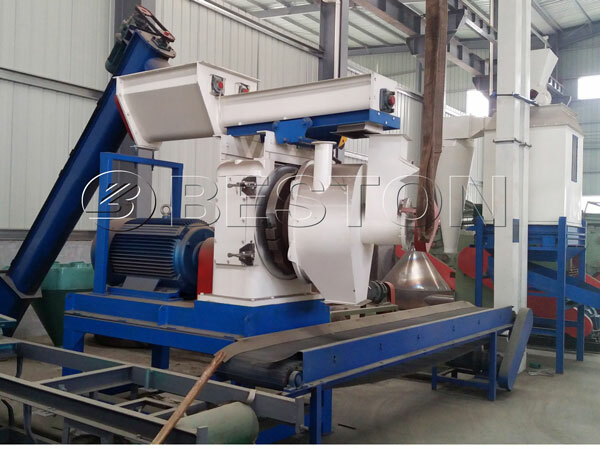 In addition, Beston Group provides perfect after-sale service for our clients, and we guarantee that we will supervise the entire manufacturing process to guarantee the quality of the carbonizer machine. We will also arrange engineers to guide the installing, testing and training the workers for free. Besides, we also provide the maintenance period for one year. 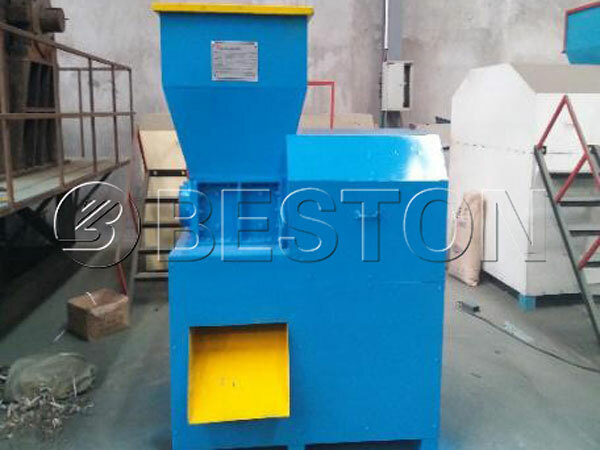 With these outstanding features, Beston wood charcoal maker machines have stayed a dominated status in the international market and created many successful cases. We are looking forward to cooperating with more customer all over the world and opening wide market.